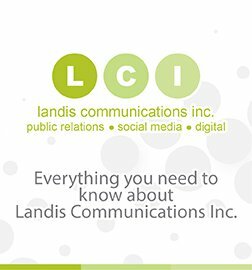 LCI named the #1 social media agency in the U.S. by TopPRAgencies.com. TopPRAgencies.com again names LCI one of the top 10 social media agencies in the U.S.
“10 Best PR Awards” names LCI the #3 PR Agency in the U.S.
“10 Best SEO” names LCI #6 SEO PR Agency in the U.S.
LCI is accredited by the National Gay & Lesbian Chamber of Commerce, is a proud member of San Francisco’s Golden Gate Business Association (serving the Bay Area’s LGBT community) and also is accredited as a Local Business Enterprise (LBE) by the City of San Francisco. PR Works interviewed David Landis about PR Measurement. Listen here. David Landis comments on the controversial United video for KPIX TV. Watch it here. David Landis joins Advisory Board of 360: The Positive Care Center at UCSF. LCI expands, adds new clients in 2006. LCI invited to join the Public Relations Global Network as the network’s exclusive San Francisco PR agency. Network provides LCI with worldwide capabilities and a network of more than 35 agency affiliates internationally. Read more.